This outdoor promotion inflatable booth bar, inflatable pub tent includes color changing led lighting This can be inflated using an air blower and repair kit. The structure is lit from all asides and all angles with an opening in front from where people can enter and exit. 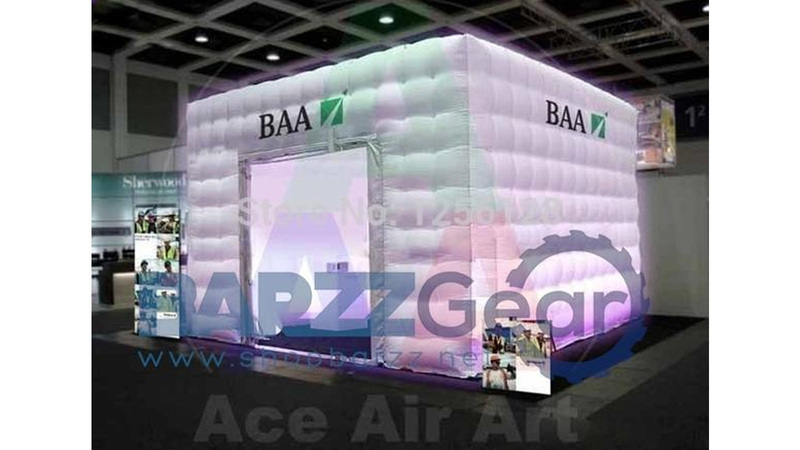 It is often used for portable square advertising, bar counter inflatable booth, lighting tent or a telephone booth. I am interested in this structure mainly because I am working on a cubic structure where I am trying to incorporate LED lighting into the structure.